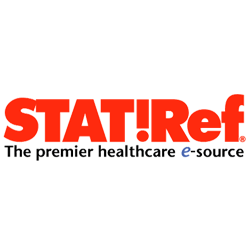 STAT!Ref ® is a well respected, healthcare e-source that combines core titles with evidence-based resources and innovative tools all integrated into one cross-searchable database. Driven by a powerful search engine STAT!Ref® is both user-friendly and provides quick, relevant information – fast. Thompson Henry – A World of Information Contact Us Today! © 2019 · Thompson Henry Ltd. Thompson Henry Ltd is registered in England No. 7555318, Registered office: Red Lion House, London Road, Bentley, Farnham GU10 5HY. VAT Reg No. GB211886663.